World Record Title: The glass plank in Jindu International Building constructed by Qujing Xiongye Real Estate Development Co. Ltd. is the highest in-building glass plank in the world. World Record Creator: The glass plank in Jindu International Building constructed by Qujing Xiongye Real Estate Development Co. Ltd..
World Record Holder: The glass plank in Jindu International Building constructed by Qujing Xiongye Real Estate Development Co. Ltd..
World Record Rules: 1, the highest in-building glass plank in the world. World Record Value: 2076.5 meters above sea level. 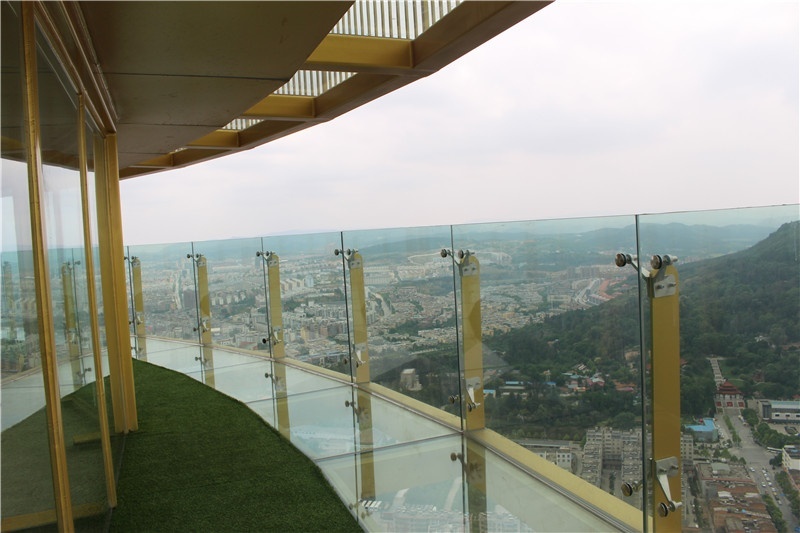 The glass plank in Jindu International Building constructed by Qujing Xiongye Real Estate Development Co. Ltd. is the highest in-building glass plank in the world. Verified on 23 May 2017.